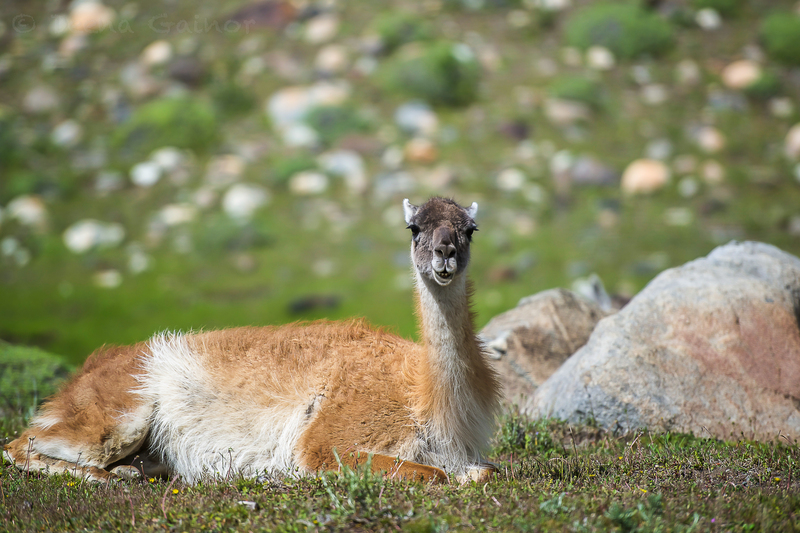 Elegant animals with slender necks and long, beautiful eye lashes, Guanacos are a relative of the camel and llama, but in my opinion, so much more graceful. They travel in female herds with one dominant male and their babies, affectionately called “chulengos.” If the baby is male, however, he is only allowed to stay with the herd for about a year before he is kicked out, and forced to make it on his own. Many die, but the ones who survive are strong, and often form herds of their own. We often saw solitary males on their own throughout Torres del Paines. We also observed weaker males who were still part of a herd. Defeated by a stronger more dominant male but still remaining in the herd, their loss resulted in the least desirable job of the herd – Night Watchmen. They were tasked with the solo responsibility of climbing to the top of the hill, and keeping watch throughout the night for Pumas ready to attack. What a lonely job. 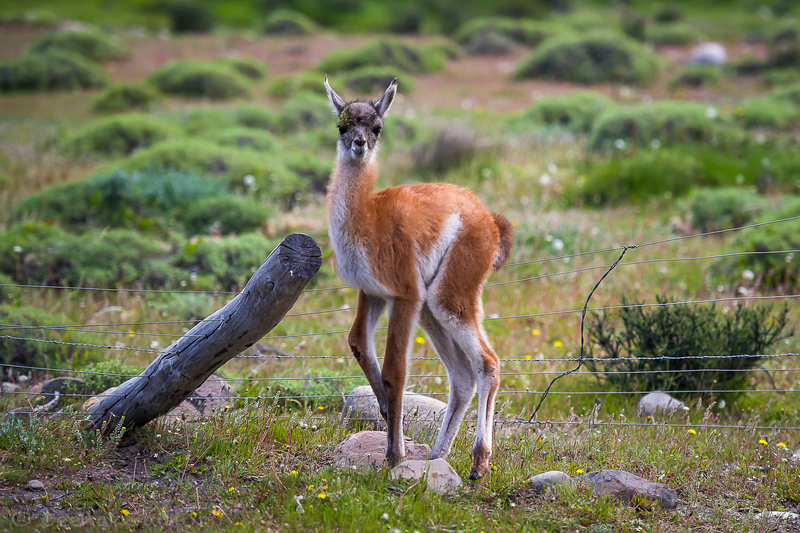 Baby Guanacos – The first photo below is of an abandoned or lost baby guanaco. He was born very recently and there were no parents anywhere to be seen. He was crying and coming really close to us, to see if we could help. Sadly, there was nothing we were allowed to do. I hated leaving him there alone. 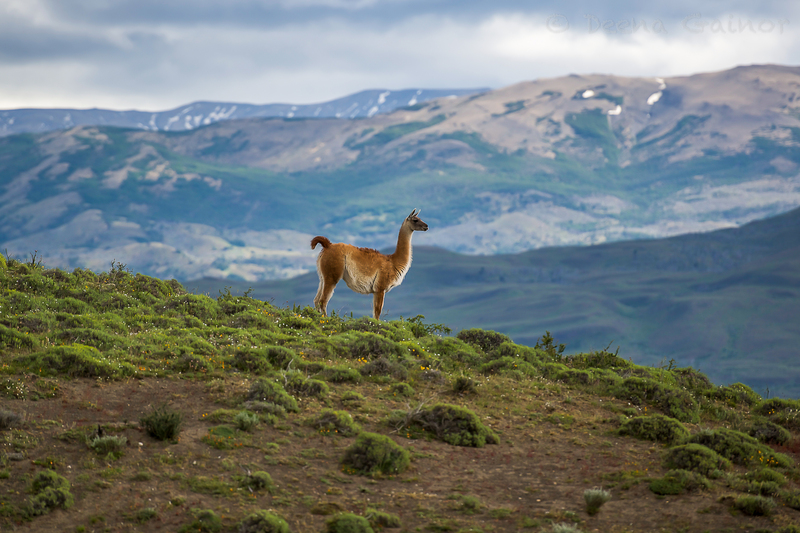 Female guanacos typically gestate for 11.5 months and give birth during the summer months, which in Patagonia are December, January, and February. Within five minutes of birth, a baby is usually able to walk. 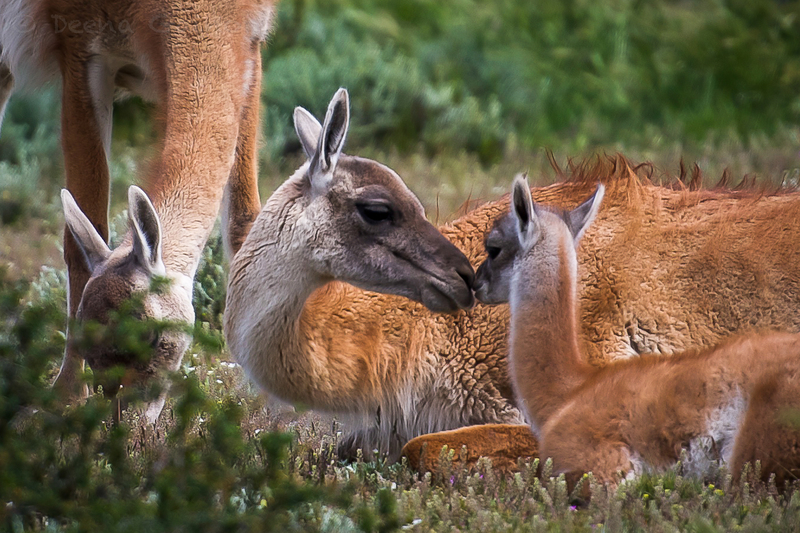 Guanacos are quite social and again in my opinion, very affectionate. 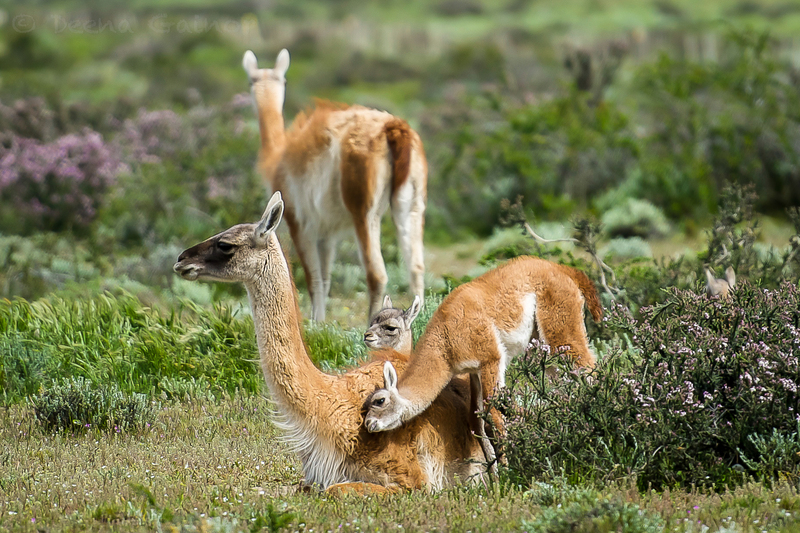 It was entertaining watching the guanacos play fight. They’re pretty aggressive and at first we thought it was for real, but no…just practice and play. Guanacos are one of my new favorites!